Option #1: Bring them in and pick them up yourself. You are most welcome to visit our facility. Our service counter is open Monday through Friday from 9:00 AM to 5:00 PM and most Saturdays from 9:00 AM to 12:00 noon from September through May. For directions to our facility, click on contact us. Option #2: Arrange for our local pickup and delivery service. Option #3: Ship your items to us, and we will ship them back to you. ACI is a regular destination for the major delivery services including UPS, Fedex and USPS. Fabrics that are shipped to us should include your name, address (billing and shipping if different), daytime phone and/or email address, any special requirements or concerns such as repairs, upgrades or required return dates. Upon request you will receive a call to confirm arrival of your shipment and/or price confirmation. Remove the fabric from the frame, if any. Remove ropes. Unstuff cushions if possible. Windows should be rolled, not folded. Although we thoroughly inspect all pieces, the more info we have, the better – such as, does the item leak? Check for stitching and fabric integrity – is it brittle or dry? Do stitches let go even slightly if fabric is tugged along the seams? Are any unusual stains visible? Measure the items to estimate the square footage, or weigh the item if a sail. Request an estimate. Tag each piece with your name. In the package, include a list of all tagged items, as well as your name, address (for both billing and shipping if different), daytime phone number, email address, and any special requirements or concerns, such as repairs, upgrades, or required return dates. If you use a UPS or other mailing facility, be sure your name is on the outside of the box. Ship with insurance to: Awning Cleaning Industries, 29 Fitch Street, New Haven, CT 06515. Send us your specs for a free no obligation estimate. APCO Products were developed exclusively for use on outdoor fabrics. They are earth and user friendly, and recommended by leading fabric manufacturers in the industry. 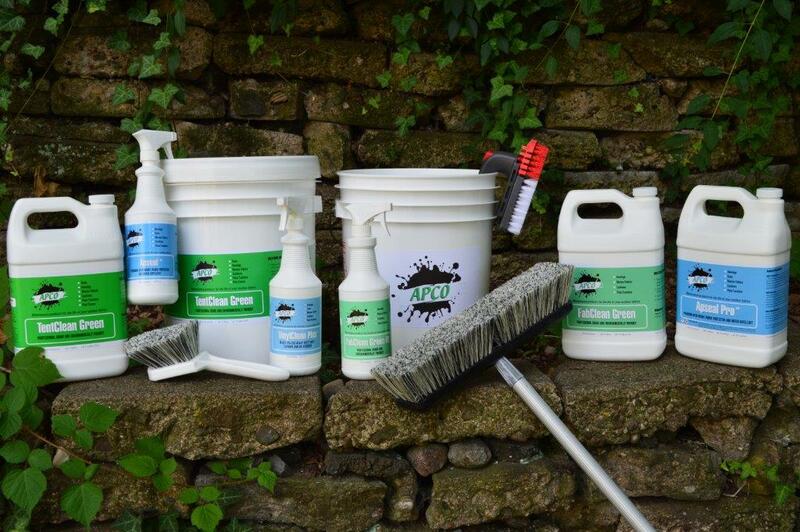 We believe that APCO products enable us to tackle almost any cleaning challenge, and our 32 years in business attests to that. The products we use and sell are the best of the best! 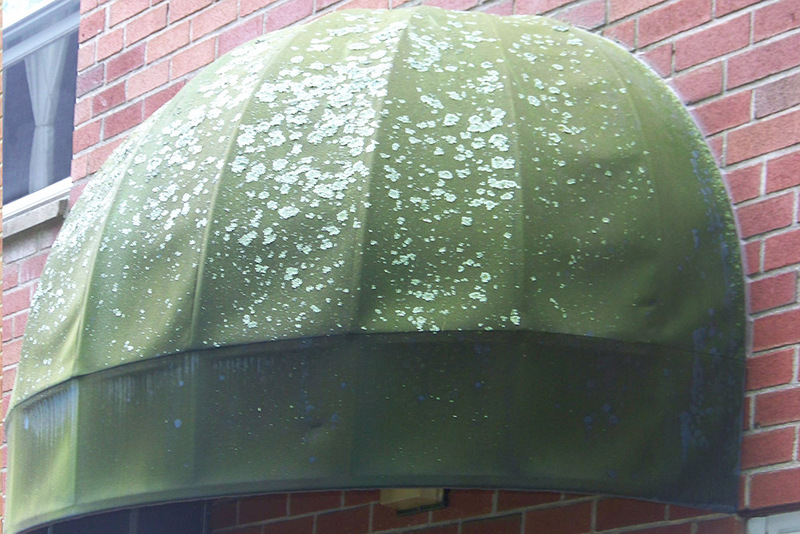 APCO Products are specially formulated for Awning Cleaning Industries and are sold by our authorized distributors to give you the option of maintaining your fabrics yourself.